If ordered within next 1 d 23 h 29 mins, it will be shipped on Monday 22 April via Ground services. 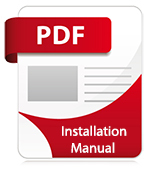 Contact us for advice or more details.Our glass experts are here to help. 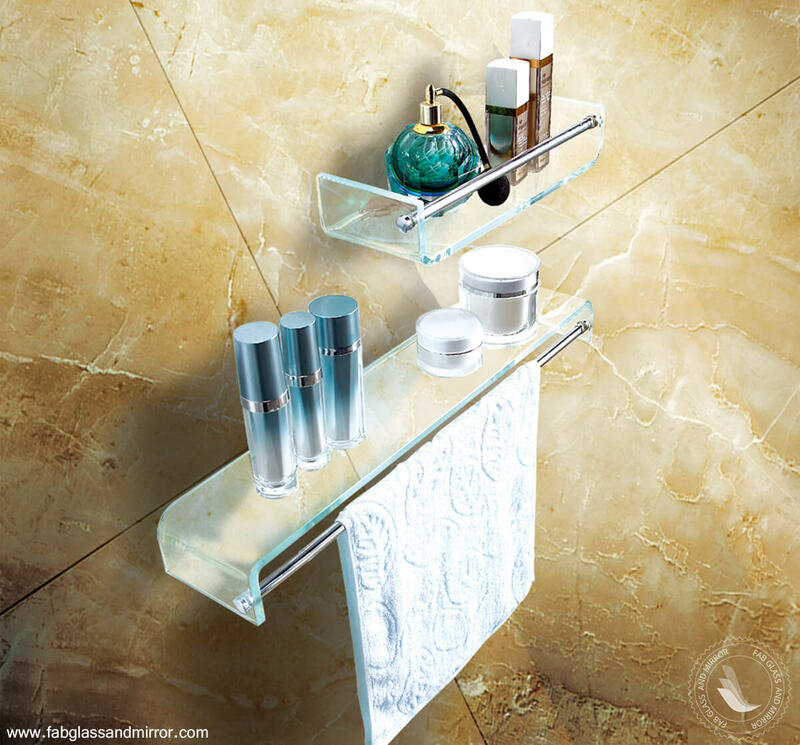 This unpretentious clear glass shelf with chrome towel bar blends simplicity with function. Easy to install, this shelf will accent any room in your home. Decorate your home wall with eye-catching Bent Glass Shelf. Glass shelves add style and elegance to any room. The beauty of your home depends on the interior decor that you choose. white shelves are an important aspect of any room. This Glass Shelf is a perfect decorating and utility solution for almost any living space. Get some extra functionality out of your bathroom towel bar with this stylish clear glass shelf with chrome towel bar from Fab Glass and Mirror. This floating bent glass shelf kit features a chrome rail that keeps items from dropping off the wall mounted tempered glass shelf and assures that your favorite products are kept within easy reach. The glass on the shelf is the clear shelf and is a sturdy 1/4 inch or 6mm thick with a flat polished edge that adds to the sleekness of the design. This glass rustic wall bathroom shelve with chrome rail is normally delivered within 3-5 days and included all mounting hardware as well as easy DIY instructions. The easy to clean clear bent glass shelf has a two-tiered look and spacious shelf space measuring 23 x 5 x 2.5 inches giving you plenty of options to get the most out of your bathroom storage while adding a little style. Peacock chrome shelf brackets are constructed using a heavy duty die cast zinc alloy, which is then power coated giving them an attractive finish. Brackets are specially designed for 3/8 Inch Thick Glass. Once mounted, all of the screws are hidden for a fine and finished look.